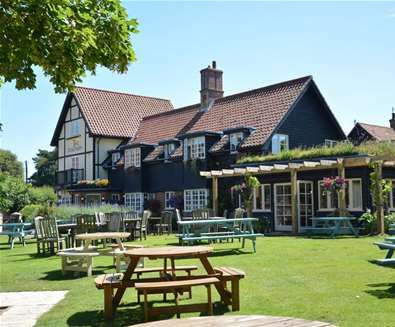 After a day exploring the nearby nature reserves of RSPB Minsmere and Dunwich Heath, head to The Westleton Crown and find a table in the cosy bar or in the restaurant, which opens out into the garden when the weather is warm. 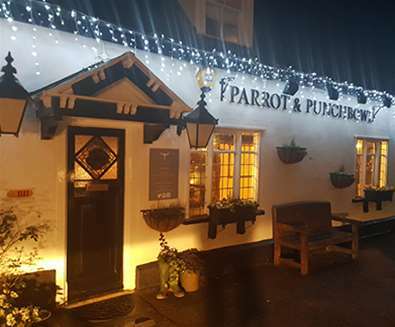 The restaurant has an AA 2 Rosette Award and is featured in the Good Pub Guide 2018, serving a wide variety of imaginative dishes on their breakfast, lunch and dinner menus. The pub serves a delicious Sunday lunch too, and afternoon tea available Monday to Saturday from 3pm - 5pm. 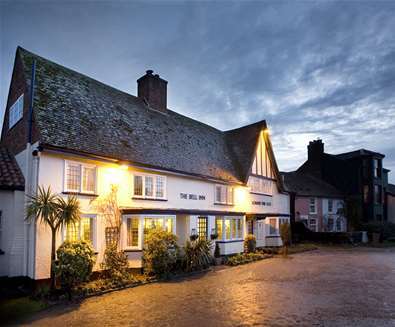 The Oyster Inn has been at the heart of the waterside village of Butley since the 17th century; a traditional village pub, it has oak beams, a cosy fire and a menu of hearty pub grub. 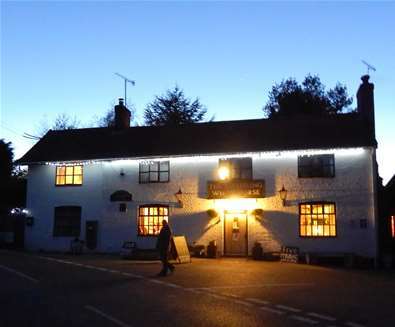 Located next to Rendleham Forest, it's the ideal place to warm up with a hearty meal and a pint of ale after a long walk or bike ride and dogs are welcome too! 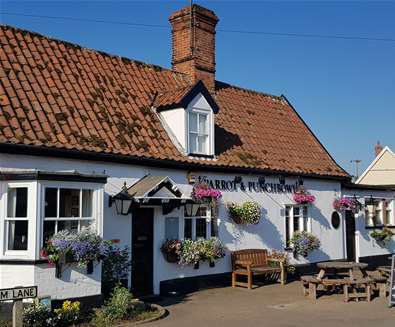 In the summer months, the coastal village of Walberswick is a popular visiting spot for tourists, but as the weather turns, it's a place to get away from it all; with windswept beaches, winding country lanes and two traditional pubs. 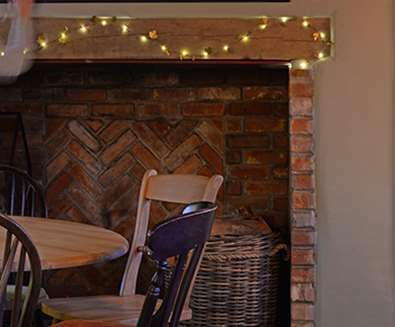 The Bell Inn is packed with character features such as beamed ceilings, open fires, quirky snugs, hidden alcoves and worn flagstones floors. 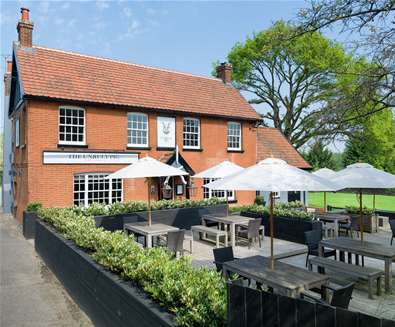 The menu uses a range of Suffolk produce offering home-cooked lunchtime and evening meals. 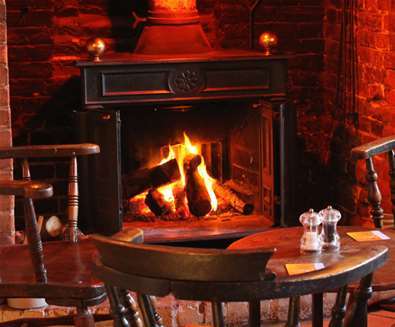 After a bracing walk along the beach, it's the ideal place settle down by the fire in the dining room and sip on a pint of Adnams. 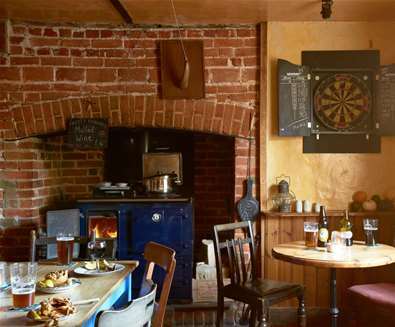 The Sweffling White Horse is a traditional Suffolk pub serving draught real ales straight from the cask and hearty pub grub. The pub is unique in that there isn't an actual bar, but you can sample real ales from small, local breweries as you sit by one of the open fires and play the traditional pub games on offer. A simple food menu is served in the evenings, with the winter menu including Farmcafe handmade pies cooked in the wood-fired range oven in the bar! If pies are low in stock, alternatives include batches of Smokey Bean Stew or Vegetable Chilli, and the tasty 'Hot Cheesey Huffer' (local cheese melted onto Huffer bread and topped with either smoked paprika or onion relish) is also a popular winter offering. 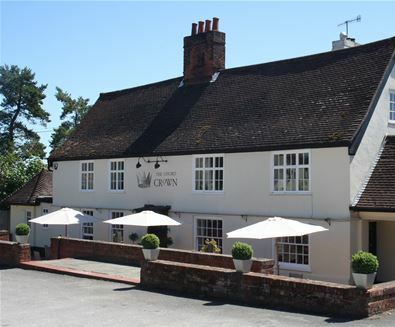 A Michelin recommended family pub nestled in the quiet village of Ufford near Woodbridge, The Ufford Crown features a spacious restaurant boasting an impressive menu, a cosy bar where you can enjoy a pint or glass of wine and a stylish lounge. The daily changing menu is hearty, wholesome British pub food with a French influence made with fresh, local ingredients (booking is advisable in the restaurant). Dogs are welcome too and can enjoy treats and a bowl of water in the bar as you try out some of the hand-picked local ales. 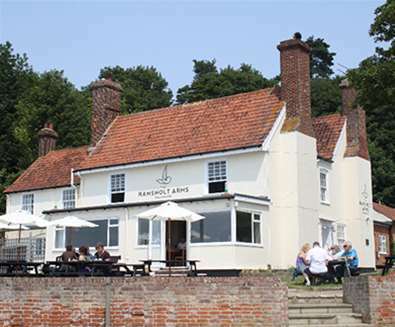 Situated on the banks of the River Deben, The Ramsholt Arms is a popular riverside pub recommended in the Michelin guide. There are some great dog walks nearby and dogs are welcome to join you as you enjoy a meal of freshly caught, local seafood, sharing platters and pub classics. Discover the remote village of Dunwich; once the haunt of smugglers, this thriving medieval port was lost into the sea during a terrible storm. Today it's the perfect place to experience the raw beauty of the Suffolk coast - with coastal, heathland and woodland walks a'plenty. 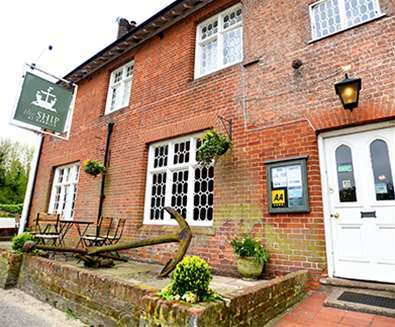 After you've worked up an appetite, find a table at The Ship Inn. 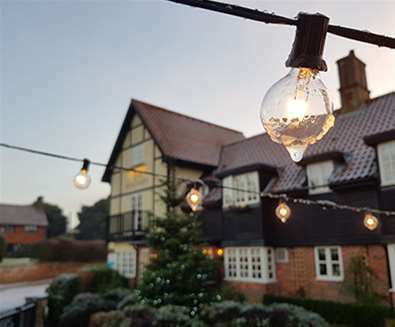 Sit by the nautically themed bar next to the crackling fire, in the dining room or the conservatory and choose from the menu a delicious plate of hearty pub food, washed down with a pint of real ale. Dogs are also welcome here and will be greeted with treats and water! 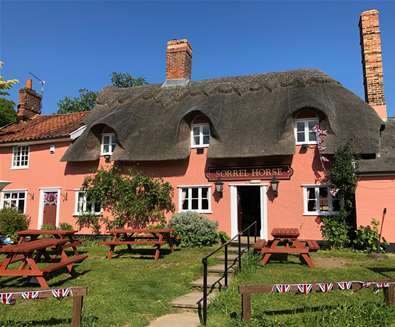 A quintessential country pub, The Sorrel Horse is a Suffolk pink thatched building with rustic tiled floors and an original bar billiards table in the village of Shottisham on the Deben Peninsula. 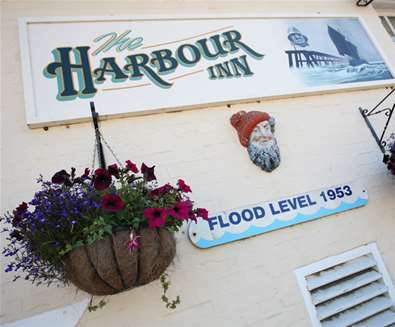 The community-owned pub serves lunch and evening meals and on Sundays breakfast and brunch too, so you can fill your boots before setting off on a morning walk to nearby Shotley. 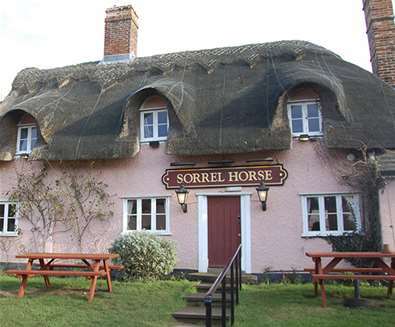 Dogs are welcomed as are horses, who can be tethered by corral in the Pightle whilst you enjoy a pint! 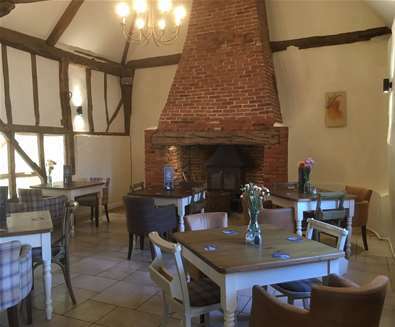 Nestled in the village of Bromeswell near Woodbridge, The Unruly Pig is a 16th century Suffolk Inn with cosy log burners, original oak beams, sloping ceilings and an eclectic mix of pop and local art decorating the walls. 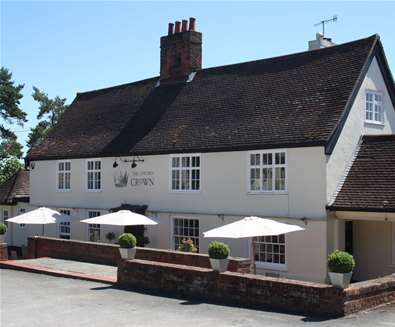 The pub comes recommended by Michelin, Harden’s, The Sunday Times and Financial Times and achieved the highest local rating in The Good Food Guide 2018. Here you can enjoy great food, wine and craft beers. The a la carte and daily set menu are changed often to reflect the seasons and to make the most of the abundance of fantastic food and drink producers on their doorstep. To accompany your food, or if you fancy a few drinks in the bar, there are fifty wines and cocktails to choose from plus hand-pulled pints of Adnams Bitter, Mosiac IPA, Birra Moretti and local Aspalls Cyder. 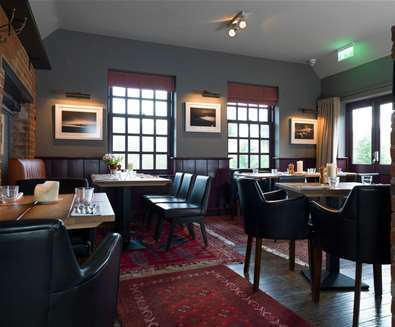 A stunningly refurbished 16th century listed country pub, The Queen's Head at Bramfield is an ideal place to stop for a pint or some pub grub, with dogs and kids too! 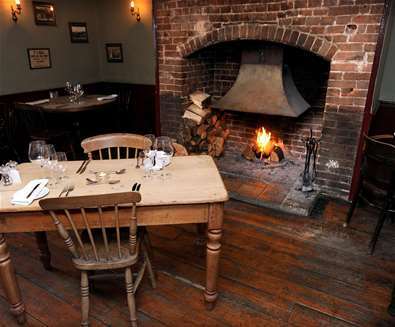 Open 7 days a week, there's a seasonal menu and an extensive wine and gin list on offer inside the16th century Grade II listed building, complete with beautiful original beams, large open fireplaces and elegant vaulted ceilings. The food, which is served daily, is predominantly British with a twist and there's a varied selection of gluten-free dishes and options for coeliacs. 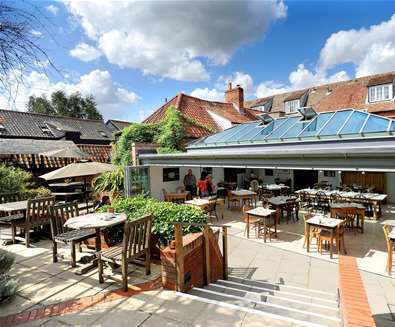 Children are kept occupied with lego and art equipment and dogs are catered for too, with both the bar and Long bar being available to dine with your four-legged friends. Complimentary Bonios are always behind the bar, along with water bowls! 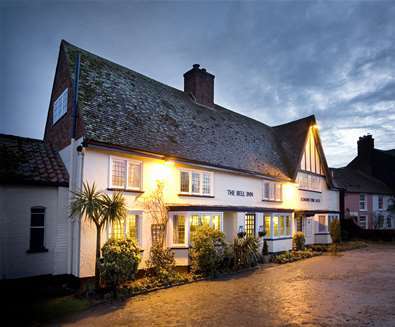 The Dolphin Inn is a small family owned and run pub and inn, situated in the pretty village of Thorpeness. Serving a range of dishes using locally sourced produce including meat from the local butcher in Aldeburgh, fish directly from the markets in Lowestoft sourced only from sustainable stocks, bread is from the famous Pump Street Bakery in Orford, vegetables grown locally from a greengrocer in Leiston and milk from a local dairy. 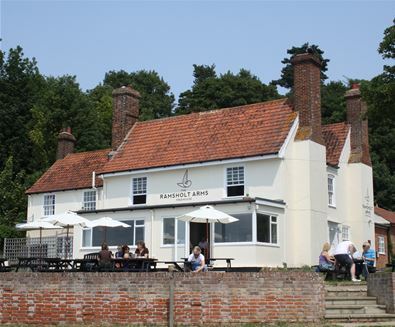 The bar also boasts some great local names including Aspall cider and Adnams beers and gins - it's the perfect place to head to, to warm up after a bracing coastal walk with family and dogs or bike ride! 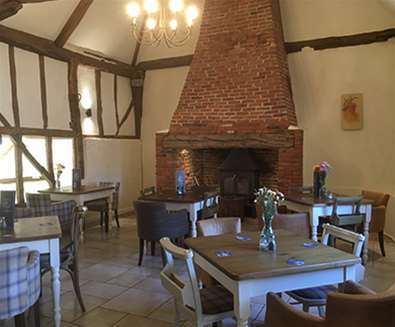 Dating back to the 16th Century, snuggle up after a walk in the Suffolk countryside at The Parrot in Aldringham; with exposed solid oak beams, open fire, wonky walls and low ceilings, it oozes charm and character. You can warm up in the bar and sit by the log fire during the colder months or find a bench in the private walled garden for a game of boules on one of the pistes in the beer garden when the weather is fine. Serving a seasonal menu including steak, venison burger, mushroom and spinach penne pasta, Procters sausages with grain mustard mash to name but a few, alongside the best local ales and wines from Adnams, plus gins, whiskeys, rums and vodkas.